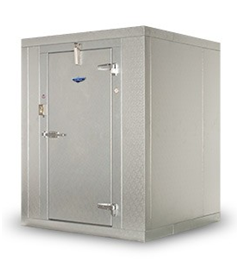 Looking for a commercial refrigerator for your restaurant, bar or catering business? Get the best quality and value for your money by asking yourself these five questions. You’ll find many brands of commercial refrigerators, each with their own price range and product features. It’s important to find out what people are saying about them. Go to culinary forums, read reviews, or ask trusted colleagues about what works for them. And remember, most commercial brands have their own niche, so just because they’re famous for one particular line doesn’t mean that all their products are the best. Explore your options to find the best quality and best price for commercial refrigeration your business really needs. How long and extensive is the warranty? Since commercial refrigerators do go though wear and tear, and will need maintenance and even repair down the line, you need to know exactly what your product warranty covers. Will you get free labor and parts? For how long? How quickly can they respond to a request for service? Ask how many certified technicians they have in your area. You can’t afford to have your commercial refrigerator break down – spoiled ingredients or worse closing down the kitchen will definitely impact your revenue and business reputation. Sometimes it’s worth spending more for better warranty and service (don’t worry, you can get good kitchen deals and the best price for commercial refrigeration on our website). What’s the best refrigerator size for my kitchen? The next step is to calculate how much refrigerator storage you really need, based on how often you will be purchasing ingredients, as well as the kind of ingredients you will most likely store. Remember that you need to base your decision on the refrigerator’s interior dimensions – most units will have smaller internal cubic feet. Your refrigerator will be running ‘round the clock, and will really affect your electricity bill. It’s important to look for an energy-efficient model. Most units will have an energy efficiency rating that you can use to compare against each other. Also look for features like LED lighting that can contribute to lower power consumption. This can be part of being a responsible business owner. Refrigerators can emit substances chlorofluorocarbons (CFCs) that can hurt the ozone layer. Recently, many prominent brands have released models that minimize damage to the ozone, and are made of parts that are sustainable and environmentally-friendly. Look for labels like “CFC and HFC free”. As a business owner, you are always looking at business costs. You’ll be investing a lot of money in your kitchen equipment, interiors, manpower, training, marketing and more. That is why it is important to find the best price for commercial refrigeration and other kitchen equipment. Visit our website to get the best deals on brands you can trust.